At least once a week, I like to meet up with the girls for lunch or a coffee and a chat. My friends are so important to me and I love catching up with them. 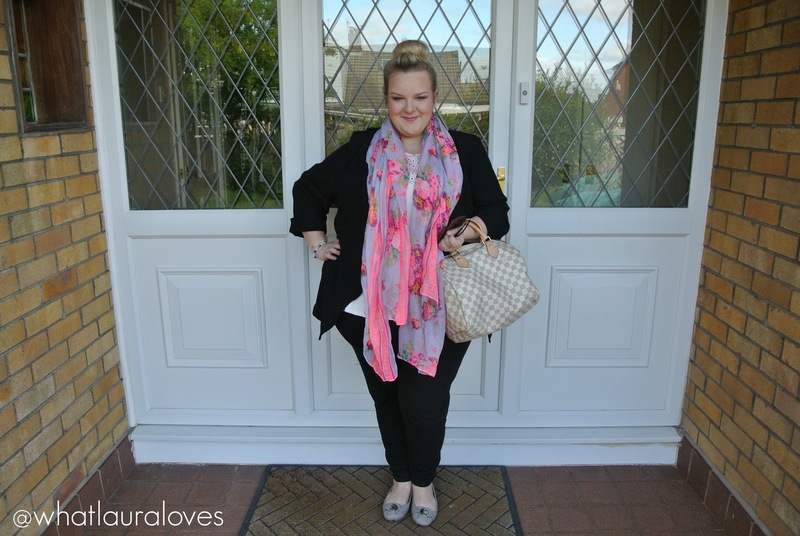 Just before my holiday we met up at one of our favourite local spots and this is the outfit that I wore; quite plain but with a pop of colour thanks to the Primark scarf that my lovely friend Zoe got me for my birthday last year. 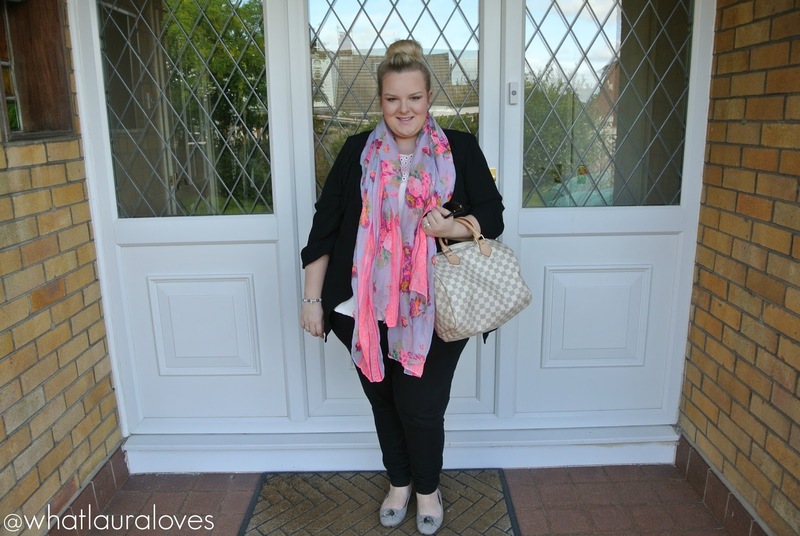 My black jeggings and waterfall jacket are a total staple in my wardrobe and the peplum top that I wore in this post has to be one of my favourites from my Essex shopping trip. 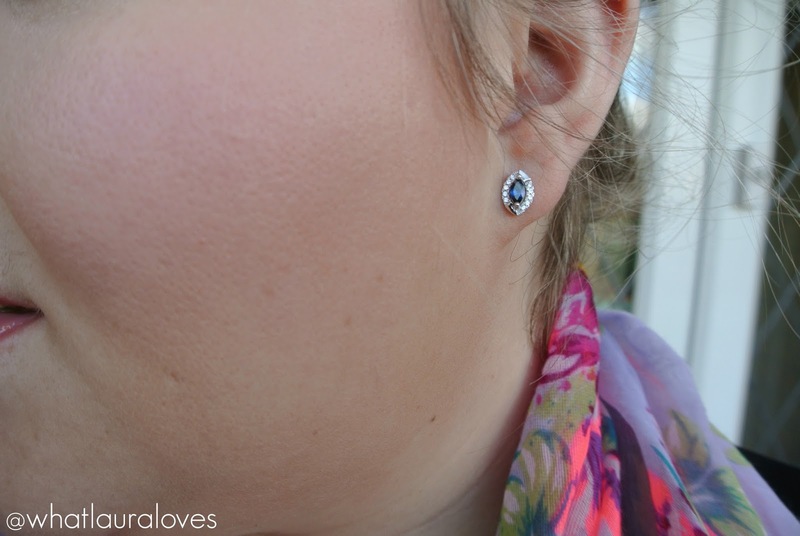 I opted to wear blue and silver toned jewellery with my latest Thomas Sabo bracelet and new earrings. 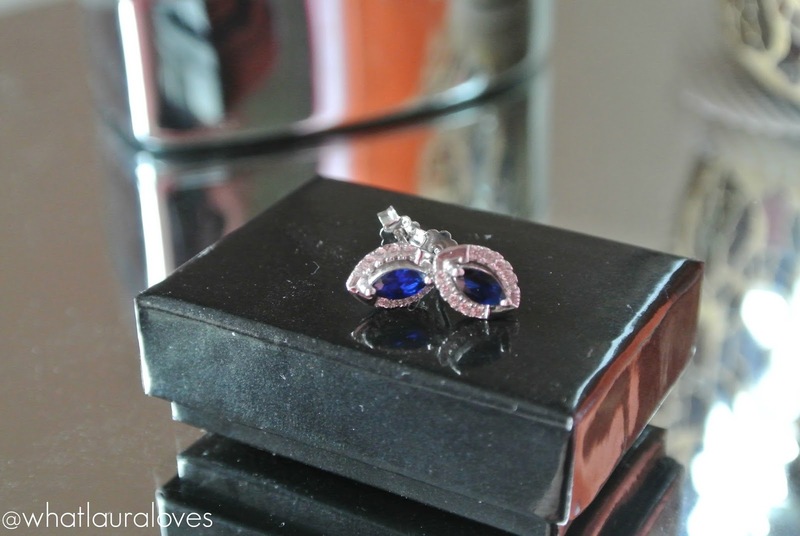 These are the Marquise Sapphire CZ Stud Earrings from Distinctive Silver who sell a beautiful range of silver jewellery from necklaces to bracelets, rings and earrings. I love the classic pairing between sapphire cubic zirconia and sterling silver; its a great combination that looks so chic and is really easy to wear. 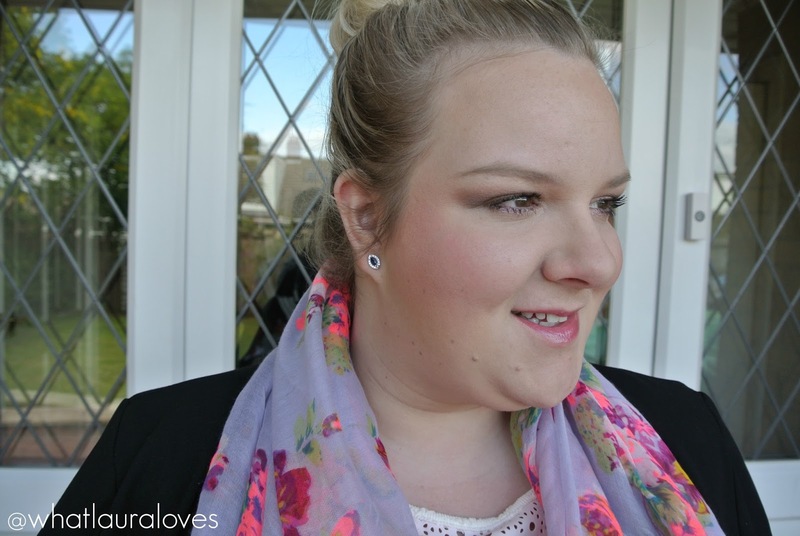 These earrings are very sparkly and really stand out when I’m wearing them with my hair up. They’re light weight so they are comfortable to wear all day. While the stem of the earrings feels a little fragile, the front of them feels very sturdy and I’m confident that the stones will remain secure in the sterling silver setting. If you’re looking for a gift for someone then check out the jewellery selection at Distinctive Silver. All items come in either a pouch or a gift box and are packaged in a protective bubble wrap jiffy bag for the safety of your purchase during transit. The delivery is very speedy and they have next day delivery options available on their site too. Distinctive Silver have kindly offered my readers a 15% discount when they enter the code LAURASREADERS15% at the checkout. They are also running a competition over on their website to win a gorgeous sparkly bracelet. You can enter here. To complete my outfit, I popped on my super comfortable Michael Kors flats and picked up my Speedy as I headed out the door. I love how unstructured it is as I can just throw everything I need in there! Looking great Laura. Especially love the Michael Kors flats.